This was it! 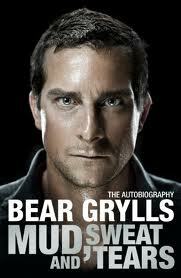 Bear Grylls is just a normal, ordinary guy who made the most (and more) out of what was given him. But more than that, it’s his determination. He’s so easy to relate to and that’s what makes this read so real and so enjoyable. He’s just an average guy who demanded the best from himself, just like any one of us can, and should. From his childhood escapades to SAS selection to the peak of Everest, Bear is very open about his thoughts, passions, and fears. Best of all, the entire book is full of motivational and inspiring quotes and insights that make waking up tomorrow feel like the beginning of life’s next great adventure. This is a fun one for the outdoor survivor and lounge chair adventurer alike.